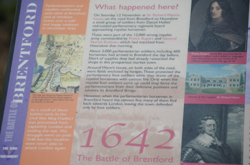 Yes, we’re a bit out of order here given we looked at the subsequent Battle of Turnham Green last week, but today we’re taking a look at the Civil War fight known as the Battle of Brentford. As recounted last week, having taken Banbury and Oxford in the aftermath of the Battle of Edgehill, the Royalist army marched along the Thames Valley toward London where a Parliamentarian army under the Earl of Essex waited. 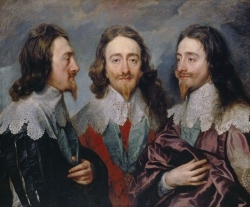 Having arrived at Reading to the west of London, King Charles I, apparently unconvinced peace talks were heading in the right direction, ordered Prince Rupert to take Brentford in order to put pressure on the Parliamentarians in London. On 12th November, 1642, up to 4,600 Royalists under the command of the prince engaged with two Parliamentarian infantry regiments at Brentford, one of the key approaches the City of London. 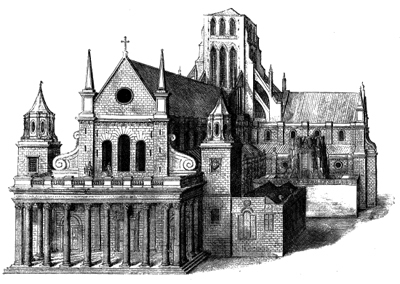 The Parliamentarians were under the command of Denzil Hollis (who wasn’t present) and Lord Brooke – various estimates put their number at between 1,300 and 2,000 men. Prince Rupert’s men – consisting of cavalry and dragoons – attacked at dawn under the cover of a mist. An initial venture to take a Parliamentarian outpost at the house of Royalist Sir Richard Wynne was repulsed by cannon fire but Sir Rupert ordered a Welsh foot regiment to join the fight and the outpost was quickly taken. 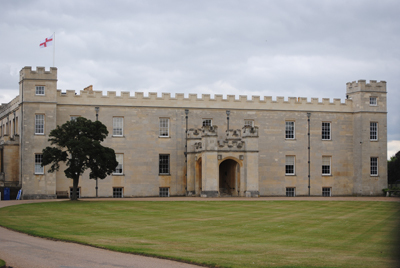 The Cavaliers then pushed forward across the bridge over the River Brent (which divided the town) and eventually drove the Parliamentarians from the town and into the surrounding fields (part of the battle was apparently fought on the grounds of Syon House – pictured at top). Fighting continued into the late afternoon before the arrival of a Parliamentarian infantry brigade under the command of John Hampden allowed the Roundheads to withdraw. About 170 are believed to have died in the battle (including a number who drowned fleeing the fighting). Followed by the sack of the town, the battle was a success for the Royalists who apparently captured some 15 guns and about 400 prisoners. 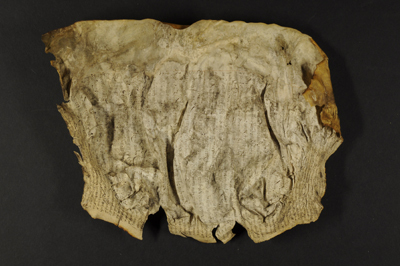 The captured apparently included Leveller John Lilburne, a captain in Brooke’s regiment. The Royalists and Parliamentarians met again only a few days later – this time at Turnham Green (for more on that, see last week’s post). Incidentally, this wasn’t the first battle to be fought at Brentford. Some time over the summer of 1016, English led by Edmund Ironside clashed with the Danes under the soon-to-be-English king Canute. Edmund was victorious on the day, one of a series of battles he fought with Canute. Meanwhile, more than 1000 years earlier, it was apparently at Brentford that the British under the King Cassivellaunus fought with Julius Caesar’s men in 54 BC on their approach to St Albans (Verulamium). A pillar stands High Street in Brentford commemorating all three battles while there is an explanatory plaque about the battle in the grounds of Syon Park. 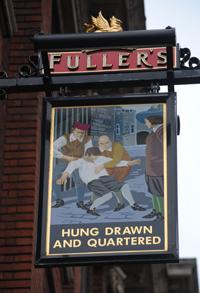 For more the Battles of Brentford and Turnham Green, see www.battlefieldstrust.com/brentfordandturnhamgreen. Part of the English Civil War, this battle – really no more than a skirmish – between the Royalists and the Parliamentarians which prevented the Royalists from attacking London which ultimately forced the Royalists to spend winter in Oxford. Having taken Banbury and Oxford in the aftermath of the inconclusive Battle of Edgehill, a Royalist army had marched along the Thames Valley toward London. On the 12th November, 1642, the Royalists had defeated two Parliamentarian regiments at Brentford to the west of the City of London. Under the command of Patrick Ruthven, Earl of Forth, but with King Charles I among them, the Royalists, who numbered some 12,000 men, then camped overnight at a site believed to be at or near the village of Turnham Green, now in west London. Meanwhile, a Parliamentarian army under command of Robert Devereux, Earl of Essex, joined up with London militia under the command of Major General Philip Skippon at Chelsea Field. Numbering some 24,000, they advanced upon Turnham Green where the Royalists awaited them. By 8am on the 13th, the two armies had formed lines running roughly north to south across Turnham Green, Chiswick Common Field and Acton Green with the Parliamentarian line stretching from the site of what is now Turnham Green Tube station to the grounds of Chiswick House and the Royalist lines stretching from south of Chiswick Park Tube station to the Great West Road. Both lines apparently had infantry at the centre with cavalry on the flanks. Essex, attempting to outflank the Royalists, sent troops to high ground at Action but, concerned about splitting his army, soon withdrew them. The battle them became something of a stalemate – Essex, not seeking to do any more than block the Royalist advance, was happy to wait while the Royalists, outnumbered, short of ammunition and said to have been unwilling to put the Londoners offside, did likewise. Eventually, late in the afternoon, the Royalists withdrew westward and Essex, who was much criticised for it afterward, gave a half-hearted pursuit. 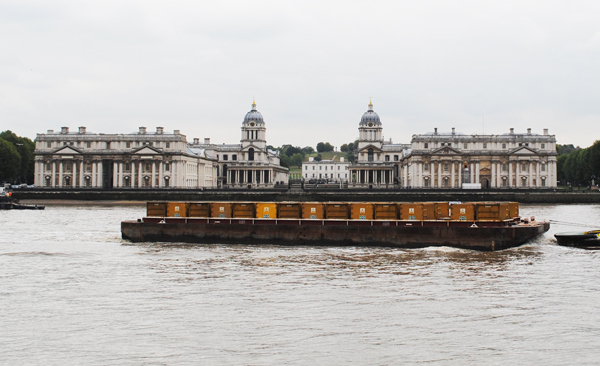 King Charles I then ordered his army back up the Thames Valley to Oxford where they ended up passing the winter. Less than 50 men in total are said to have died in the indecisive clash which, it can be argued, helped to ensure that the Civil War would go on for another four long years. While much of the site of the skirmish has been built upon, glimpses of the open ground which once stood here can still be seen. 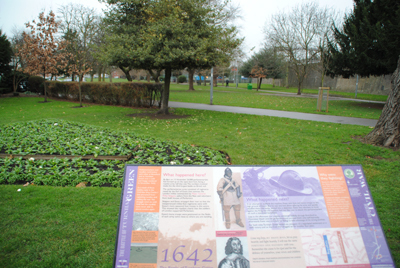 There is an information panel about the battle opposite Turnham Green Tube station. For more on the English Civil War, see Blair Worden’s The English Civil Wars: 1640-1660 . • The first ever display of works of overlooked 17th century artist Cornelius Johnson, court painter to Charles I, has opened at the National Portrait Gallery off Trafalgar Square. 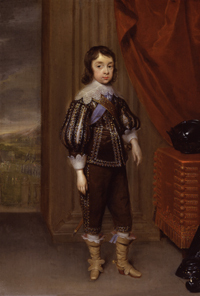 Cornelius Johnson: Charles I’s Forgotten Painter features rarely viewed portraits of the king’s children including the future Charles II, James II and Mary (later Princess of Orange-Nassau) as well as a painting of Mary’s son William – all of which have been taken from the gallery’s collection. Overshadowed by Sir Anthony van Dyck, Johnson – who emigrated to The Netherlands when the English Civil War broke out – has been largely ignored by art historians despite the breadth of his work – from group portraits, such as his largest surviving English painting, The Capel Family, to tiny miniatures – and the fact that he is thought to be the first English-born artist who took to signing date his paintings as a matter of course, something he is believed to have picked up during his training in The Netherlands. The display features eight painted portraits and six prints from the gallery’s collection as well as three paintings from the Tate. Runs until 13th September in Room 6. Admission is free. For more, see www.npg.org.uk. PICTURE: King Charles II by Cornelius Johnson , 1639. © National Portrait Gallery, London. • Trafalgar Square will be at the centre of London’s St George’s Day celebrations on Saturday with live music, celebrity chefs, a masterclass by leading tea experts and children’s games and activities. The musical lineup will feature the band from the West End musical Let It Be and the Crystal Palace Brass Band – one of the few traditional brass bands remaining in London. The free event runs between noon and 6pm on Saturday. For more, see www.london.gov.uk/stgeorges. 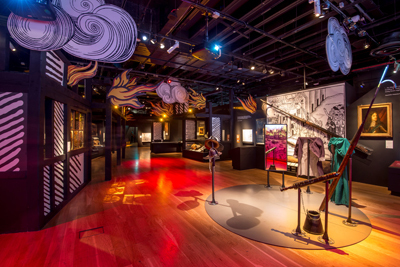 • Indigenous Australia, the first major exhibition in the UK to present a history of Indigenous Australia through objects, opens at the British Museum today. Drawing on the museum’s collection, Indigenous Australia features objects including a shield believed to have been collected in Botany Bay on Captain Cook’s voyage of 1770, a protest placard from the Aboriginal Tent Embassy established in 1972 and contemporary paintings and specially commissioned artworks from leading indigenous artists. 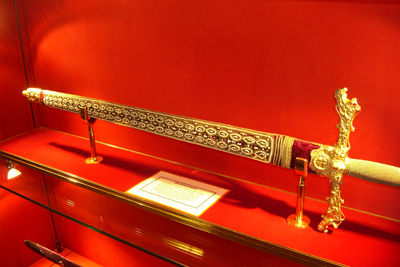 Many of the objects have never been on display before. Runs until 2nd August. Admission charge applies. For more, see www.britishmuseum.org. • Thirty prints from the Royal Collection will be on show at The London Original Print Fair to mark its 30th anniversary. The fair runs at the Royal Academy from today until Sunday and among the selected works from the more than 100,000 prints in the Royal Collection are the 2.3 metre long woodcut by Albrecht Durer entitled Triumphal Cart of the Emperor Maximillian (1523), Wenceslaus Hollar’s four etchings of tropical Seashells (c1650), a sequence of proofs of Samuel Reynolds’ portrait of King George III at the end of the monarch’s life, and lithographs produced by Queen Victoria and Prince Albert dating from 1842. For more on the fair, see www.londonprintfair.com. 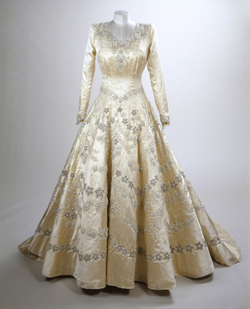 For more on the Royal Collection, see www.royalcollection.org.uk. • The question of what is meant by the concept of luxury is under examination in the V&A’s new exhibition What is Luxury? Opening at the South Kensington museum Saturday, the exhibition will feature a range of luxury objects – from the George Daniels’ Space Travellers’ Watch to a Hermés Talaris saddle, and Nora Fok’s Bubble Bath necklace. Also on show in a section of the exhibit looking at what could determine future ideas of luxury is American artist Gabriel Barcia-Colombo’s DNA Vending Machine (complete with prepackaged DNA samples) and Henrik Nieratschker’s installation The Botham Legacy which tells the fictional story of a British billionaire who sends altered bacteria into space in an attempt to find valuable metals on distant plants. Runs until 27th September. Admission charge applies. See www.vam.ac.uk/whatisluxury. 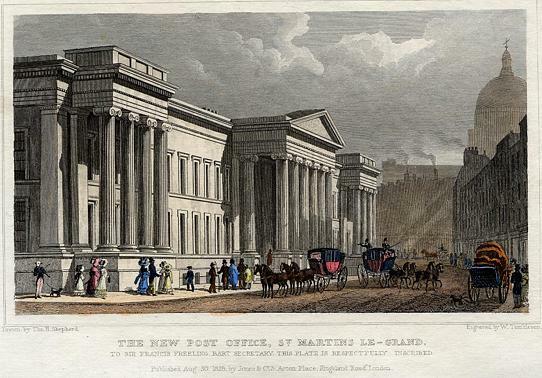 While the history of the General Post Office dates back to the reign of King Charles I, London’s first purpose-built facility for mail was constructed on the east side of St Martins-le-Grand in the 1820s. The post office headquarters had hitherto been located in the area of Lombard Street but in 1814 it was decided that the site here couldn’t be developed any further. The site in St Martins-le-Grand was subsequently acquired and plans for the building commenced. 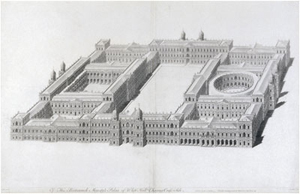 Designed by Sir Robert Smirke (famous for his design of the British Museum), the grand structure was built on the site of what were slums between 1825 and 1829 and featured a 400 foot long “Grecian-style” street frontage. The exterior of the building was lit with 1,000 gas burners at night. As well as serving as the post office’s administrative headquarters, the building also contained the sorting office and the main London public post office. Along with a grand public hall and offices, it contained rooms – including an armoury – for the guards who protected mail coaches and accommodation for clerks charged with receiving foreign mail (obviously at all hours!). A new building was added to house the telegraph department on the west side of the street in the 1870s and further buildings followed, leading Smirke’s initial building to become known as ‘GPO East’. In 1910, the facility was bursting at the seams and so the headquarters was moved to the King Edward VII Building. Smirke’s grand building was somewhat controversially demolished in 1912. A fragment – one of the capitals which topped one of the external columns – is apparently located in Vestry Road in Walthamstow. 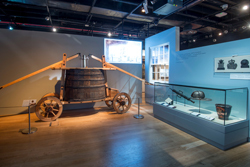 For more on London’s postal heritage, visit the British Postal Museum & Archive. No, the name of the famous Bond Street in Mayfair has nothing to do with James Bond. Rather, the street – in fact, two streets named Old and New Bond Street – takes its name from a 17th century courtier, Sir Thomas Bond. Bond was the comptroller of the household of Queen Henrietta Maria, then the Queen Mother thanks to being the widow of King Charles I and the mother of King Charles II. 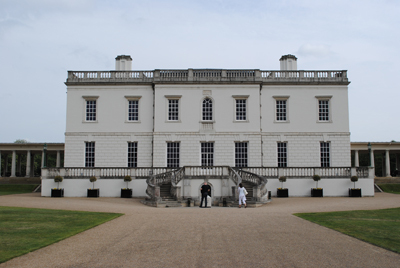 He was also something of a land developer – the head of a consortium that purchased Albermarle House from Christopher Monck, the 2nd Duke of Albermarle, in 1683. The house was promptly demolished and the area redeveloped with what is now Old Bond Street – which runs from Piccadilly to Burlington Gardens – laid out in 1686 and given Sir Thomas’ surname (he’d died the previous year). 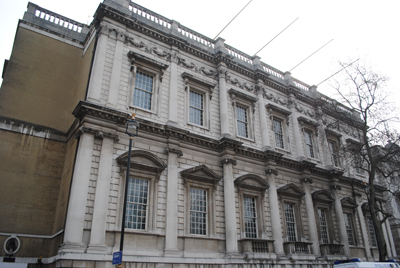 The northern extension of Old Bond Street (which runs from Burlington Gardens to Oxford Street) – named New Bond Street – was developed in the 1720s. 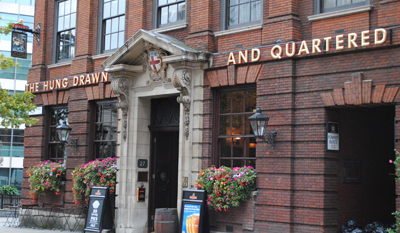 Caroline Taggart, in The Book of London Place Names , says it was residents of Old Bond Street who insisted on the use of ‘new’ in the name, no doubt to differentiate between themselves and the newcomers or, as Taggart suggests, ‘upstarts’. Traditionally known as a location for art dealers (Sotheby’s auction house – identified by an ancient Egyptian bust of the goddess Sekhmet which sits on the facade – has stood there for more than a century), the street has become increasingly known for its luxury fashion and accessories retailers such as Asprey’s, Chanel, Cartier, Dolce & Gabbana, Bulgari and Tiffany & Co (see the Bond Street Association for more). Other landmark buildings in the street include the home of the Fine Art Society and the Royal Arcade. Bond Street is also home to US sculptor’s Lawrence Holofcener’s work, Allies (pictured above), depicting former British PM Winston Churchill and US President Franklin D Roosevelt, and at the northern end stands the Bond Street Underground Station which opened in 1900. 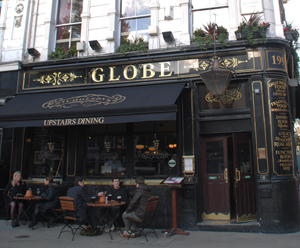 Famous residents have included Admiral Horatio Nelson – who stayed at number 147 in 1797-98 while he recovered after losing his arm at Tenerife, eighteenth century satirist Jonathan Swift and politician William Pitt the Elder, as well as twentieth century spy Guy Burgess, who lived at Clifford Chambers before his defection to USSR. 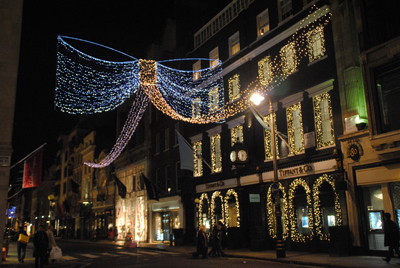 Around Christmas, the street plays host to a rather special display of lights (pictured top). 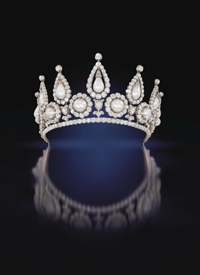 • A pearl-drop earring worn by King Charles I at his execution in 1649, pearl tiaras worn by European nobles and a pearl necklace given to Marilyn Monroe by Joe DiMaggio in 1954 are among the items on display as part of a new exhibition which opened at the V&A last Saturday. 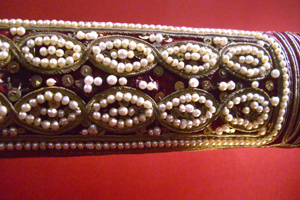 The V&A and Qatar Museums Authority exhibition traces the history of pearls from the early Roman Empire to now and features more than 200 pieces of jewellery and works of art. Other items on display include ‘Queen Mary II’ pearls dating from 1662-1664, a miniature portrait of Queen Charlotte wearing pearl jewellery and a set of buttons, finely enamelled and framed with pearls, worn by George III in 1780. There’s also the Dagmar necklace given to Princess Alexandra when she married the future King Edward VII in 1863. 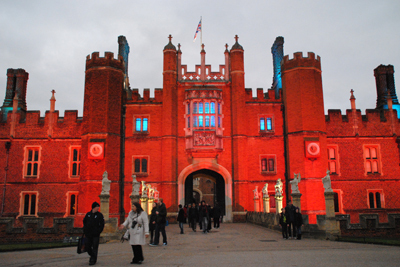 The exhibition is part of the Qatar UK 2013 Year of Culture. Admission charge applies. Runs until 19th January. For more, see www.vam.ac.uk. PICTURE: Lady Rosebery’s pearl and diamond tiara (1878) © Christie’s Images. • The Big Brother house – located in Elstree Studios in north London – opens to the public tomorrow and on Saturday as part of a partnership between Initial – an Endemol Company, Channel 5 and the National Trust. 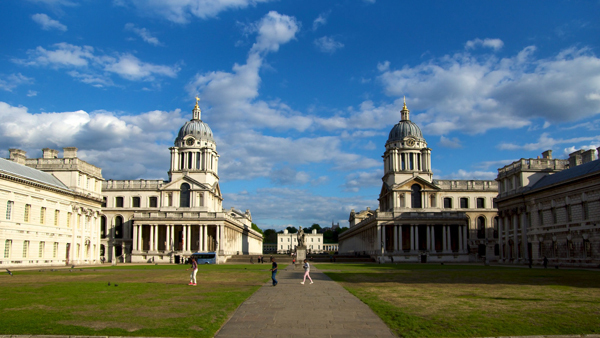 Some two million people tuned in to watch the final night of the show this summer leading one TV critic to describe the property as “the most important house in Britain”. The opening is being preceded by an Opening Gala featuring housemates past and present as well as celebrities – but that’s an invitation only event. Sadly, tickets for the opening are already sold out – for returns and your last chance of getting in, follow this link. • The UK’s first aircraft manufacturers – Horace, Eustace and Oswald Short – have been commemorated with an English Heritage blue plaque placed on their former workshop in Battersea. Unveiled this week by Jenny Body – the first female president of the Royal Aeronautical Society, the plaque can be found at the railway arches near Queen’s Circus where the brothers, who lived nearby in the Prince of Wales Mansions, worked on ballooning and first made the transition to aircraft construction. Among their firsts was the construction of the first British powered aircraft to complete a circular mile of flight and the creation of Britain’s first ever purpose-built aircraft factory (it was located on the Isle of Sheppey in Kent). 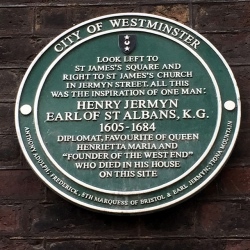 For more, see www.english-heritage.org.uk/discover/blue-plaques/. • On Now: Jonathan Yeo Portraits. New and previously unseen works including a six foot high portrait of controversial artist Damien Hirst and a portrait of Kevin Spacey as King Richard III feature in this exhibition running at the National Portrait Gallery. Other subjects featured in the painted works include media mogul Rupert Murdoch, model Erin O’Connor, artist Grayson Perry and actor Sierra Miller. Runs until 5th January. Admission is free. For more, see www.npg.org.uk.